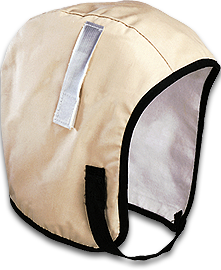 Made from the best quality material and designed to fit most models of safety hats. 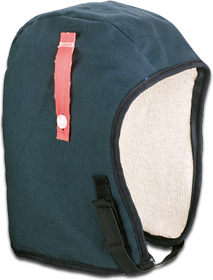 Deluxe winter liner, quilted tricot outer shell, heavy fleece lining, flame retardant. Completely dielectric, velcro closure. 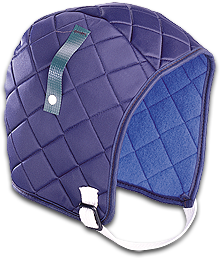 The 100% nylon outer shell and satin quilted lining provides light comfortable protection in the coldest weather. Completely dielectric. Economy winter liner, twill outer shell, flannel lining, flame retardant. Completely dielectric, velcro closure. Heavy, extra long winter liner. For strenuous work or hot weather. Economy hair cover. 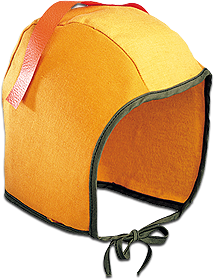 Made from light-weight non-woven material. Elastic head-band will fit comfortably on most hair styles. Flame retardant. Lint free. Most popular paper cap. 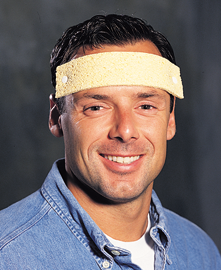 Head band is made of extra heavy duty kraft paper. Fully adjustable to fit all sizes. Economical paper top. 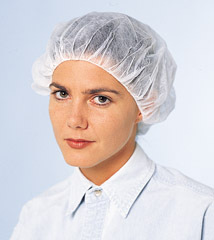 Hair nets made from nylon or rayon help maintain sanitary and hygiene standards in the work place, yet are very gentle on the hair. Available in a variety of colors to match your workers hair. Elastic band to fit all sizes.